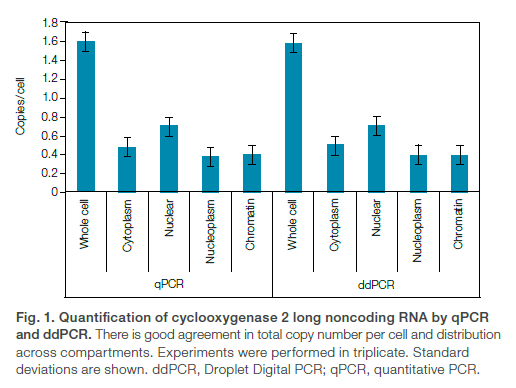 Droplet Digital™ PCR Success Story (Bulletin 6426) Gene Expression - Digital quantitation of potential therapeutic target RNAs. Dodd DW et al. (2013). Digital quantitation of potential therapeutic target RNAs. Nucleic Acid Ther 23, 188-194.